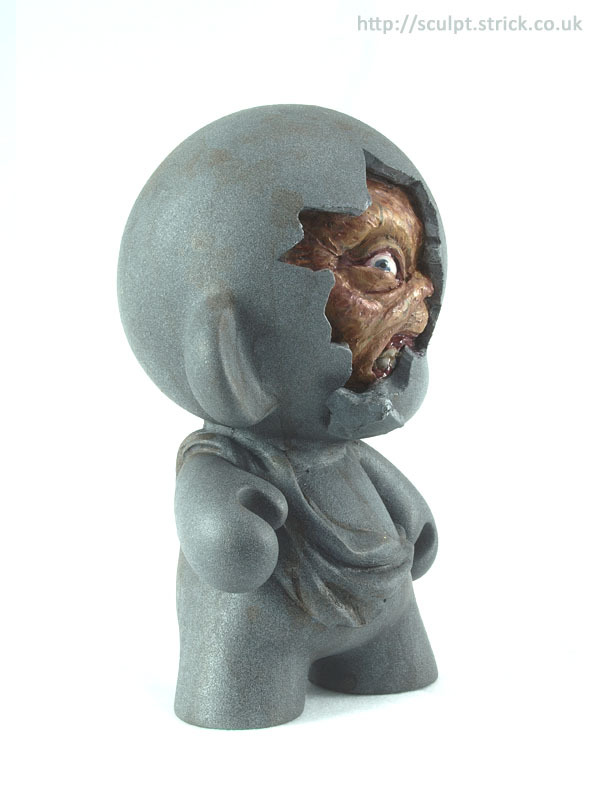 A custom vinyl Mini Munny made as a donation for the Toy Collector's Christmas party. 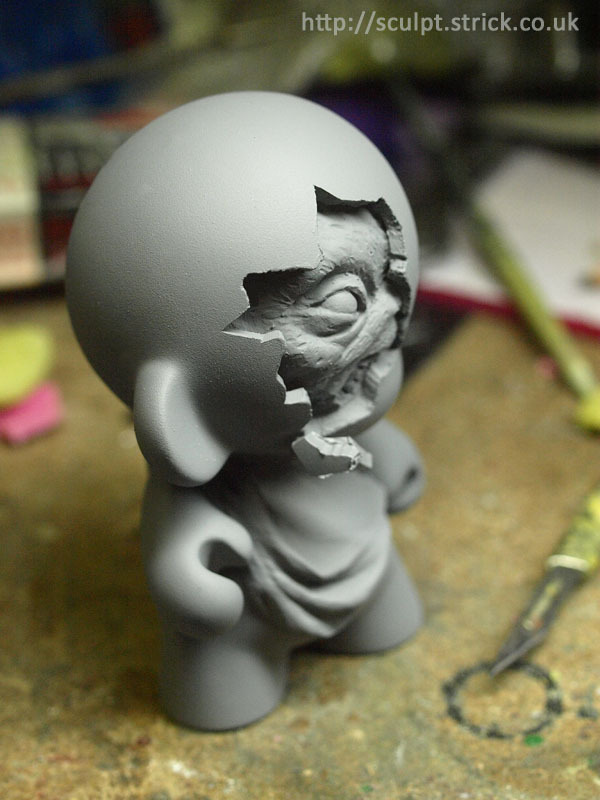 I needed to make sure the custom would fit back inside the original Munny packaging so that it could be boxed 'blind'. 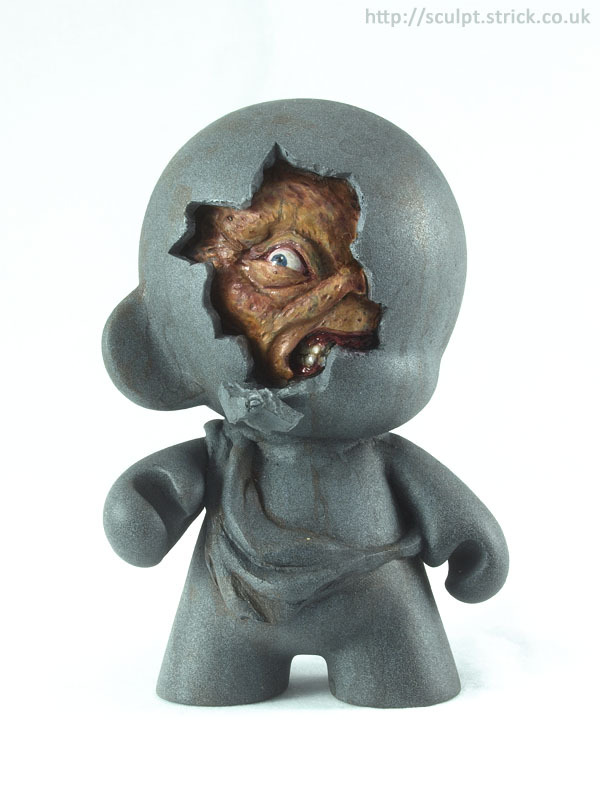 With that in mind, I had to avoid sculpting too many additions on the surface of the toy, opting instead for sculpting mainly inside it. 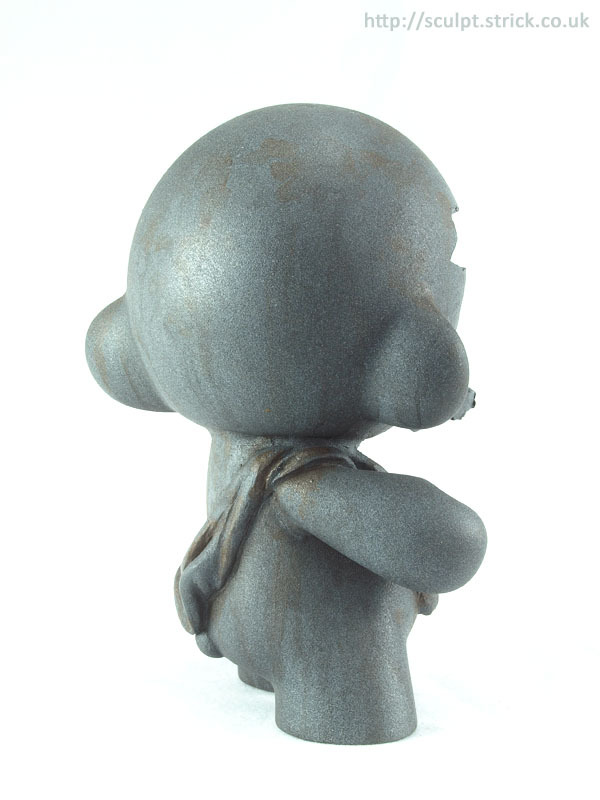 I did sculpt some simple classical drapery on the surface to try and make it feel more like a stone statue once it was textured and weathered.